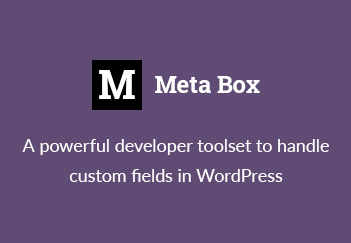 To display title meta tag in WordPress, we can use wp_title function. But it’s not enough if you want your theme SEO friendly. Update: The code below is outdated. Use the plugin Slim SEO to get this done automatically. Because of the 2nd reason, it’s hard to make the SEO plugins to re-format title meta tag. I’ve looked into the code of popular SEO plugins such as WordPress Plugin By Yoast and WordPress All-In-One SEO and see both using output buffering to change the page title (Yoast uses in force mode while AIO SEO plugin always does), which may make you out of memory and get “Header sent” error. So, how to make the code better? The natural way is using wp_title function , of course. But as I said, it’s not enough. So, we’ll use a filter to change the output of this function. You can change the separator (|), and its location (right). The 2nd parameter allows you to echo (true) the title or not (false). For more documentation, please read here. // Don't affect in feeds. (your title format will be Site name – Page title). This way, you can control your title meta tag for better SEO score, without any plugins! I highly recommend this method to theme frameworks. It helps not only make the code cleaner, but also allows users to filter the output (using higher priority). That’s the way WordPress users always do! Just a heads up that this conflicts with the RSS feed title resulting in a double name as the title of the RSS feed. You’re right, we should ignore the title for feeds. Code is updated! Very nice. And clean! Quick question, I’m using your code example exactly as is above. I have a “blog” category with all of my blogs posts assigned to it and I would like to remove the site title from them. Basically I would like the title tag to just display the post name. I tried a few different things like if (In_category but I couldn’t get it to work. Any ideas? I would like to ask, if i want to use this tag “” but i don’t want my site name to be appeared behind the title, what should i do? As wordpress codex told me the file path to edit it is at (wp-includes/general-template.php). But i’m not sure which line should i edit. I tried to edit different line, but failed to do so as i’m not good in php reading. You have to change the callback function, remove lines 11-15. No, not in “general-template.php”, but in my code in the post content. Please use hook as I explained in the post to change post title, don’t change WordPress core file. I’m very new at wordpress, so forgive the dumb question. Where do I put the add-filter code? In the theme-functions php? Thanks for the excellent writeup. I just switched from All in One SEO to Yoast SEO and had to update my theme to the new recommended format to work with the title rewrites. Saved me hours of hacking. Hi, Great stuff here but your code duplicates my blog site title on my front page, pages and posts! Is there a workaround for this? What about on category pages? Adding page numbers for those?